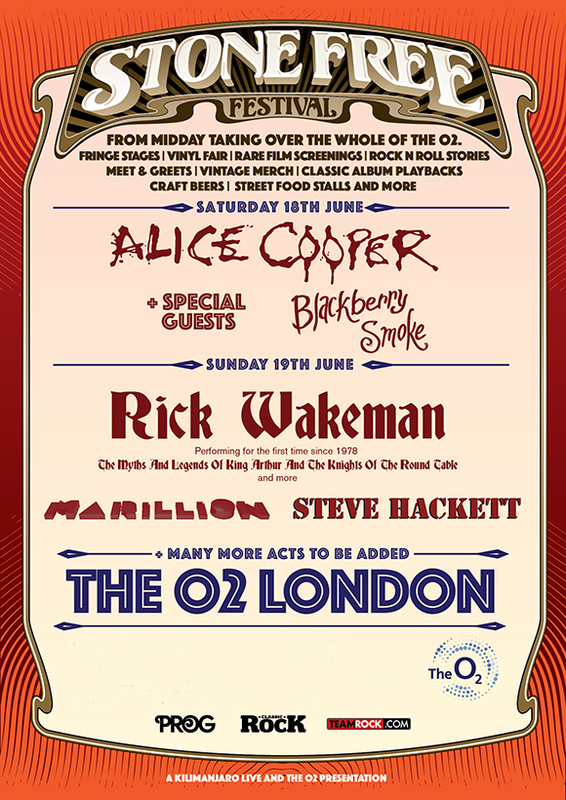 We’ve just heard that Rick Wakeman is a headline act at next year’s Stone Free Festival (18/19 June 2016, O2 Arena, London). 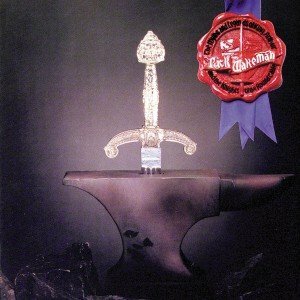 As part of the 12-hour-per-day multi-stage festival, Rick will be performing the album “The Myths And Legends Of King Arthur And The Knights Of The Round Table ” in its entirety – for the first time since 1975. Wakeman spoke to Planet Rock radio of the success of his “Journey To The Centre Of The Earth” shows last year, and his excitement at performing his 1970s work with a full orchestra and choir. “It’s going to be wonderful!” he said. Other confirmed bands include Marillion, Southern rockers Blackberry Smoke and ex-Genesis axeman Steve Hackett. Tickets went on sale this morning (Friday 20th November, 10am) and you can get more details at the Planet Rock Ticket page. Tickets for each day cost from £75.60, with higher-priced tickets getting you more perks. Rick Wakeman will perform on the Sunday. For £140.50 you can get a “Sunday Rock Royalty – Meet and Greet Rick Wakeman” ticket.